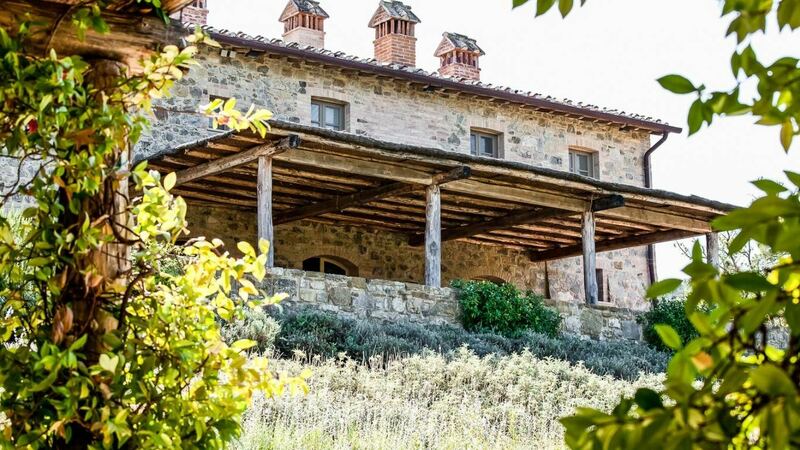 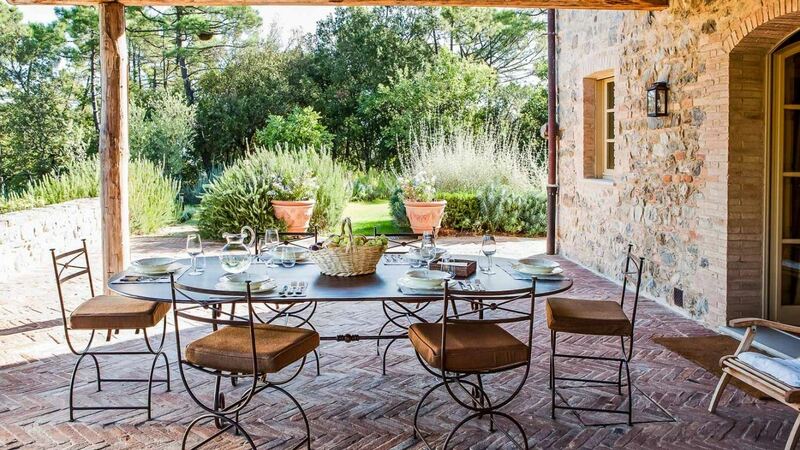 Villa Rachel is typical stone farmhouse that has been lovingly transformed into a romantic refuge for up to six guests. 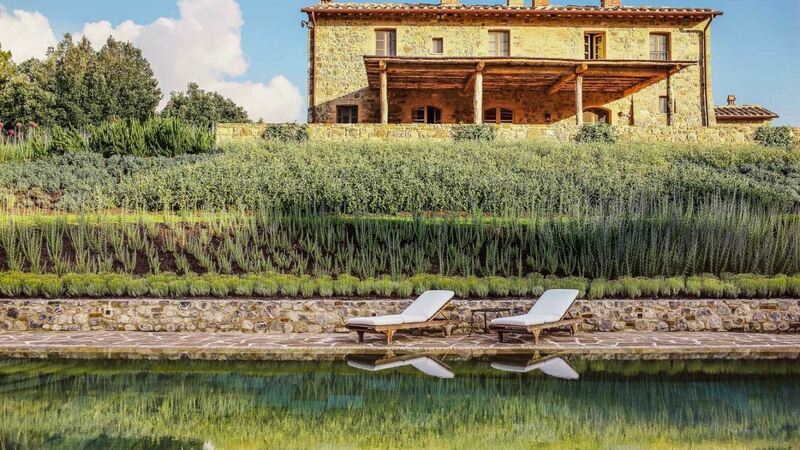 Nestled among ancient trees and lush gardens on a quiet hilltop, the villa enjoys breathtaking views over the Val d’Orcia Natural Park. 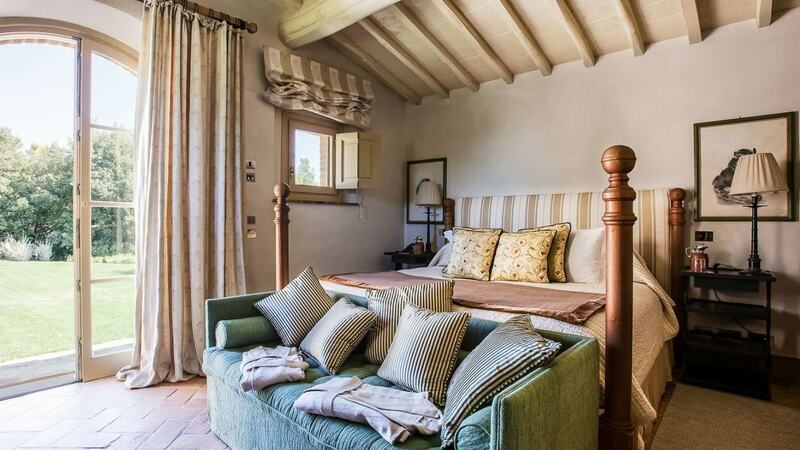 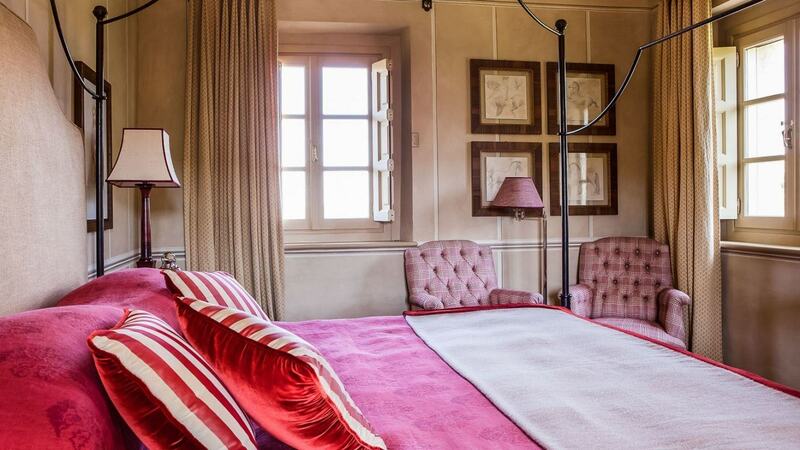 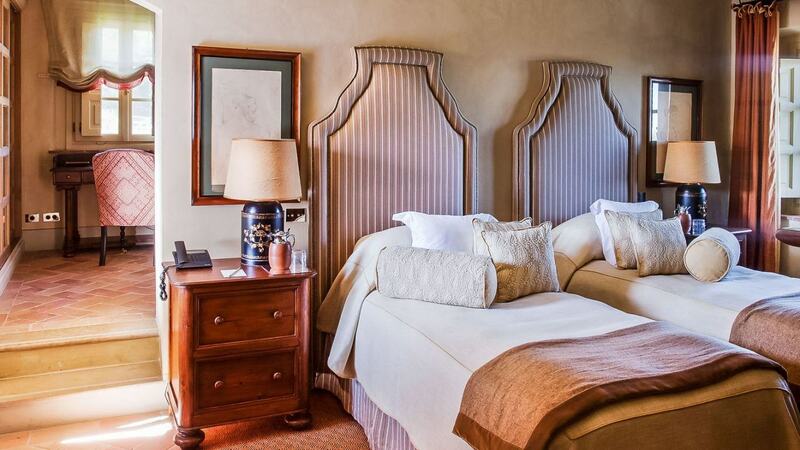 The interior of the village presents wood and terracotta floors, designer fabrics, high ceilings, sophisticated features and spacious rooms with antique and handmade furniture. 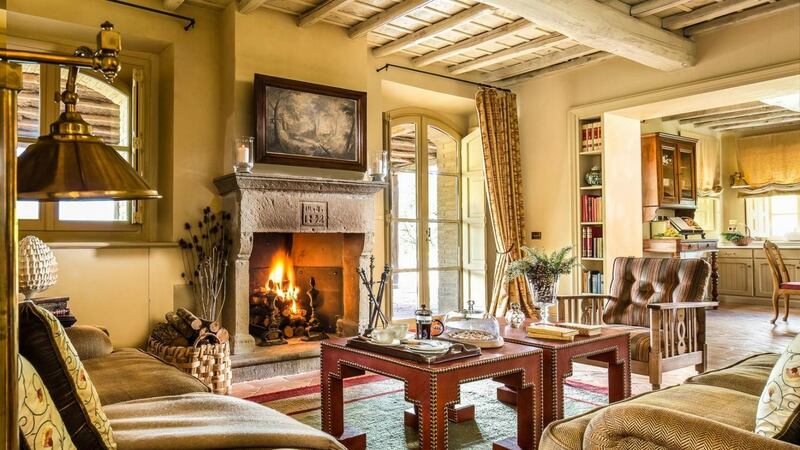 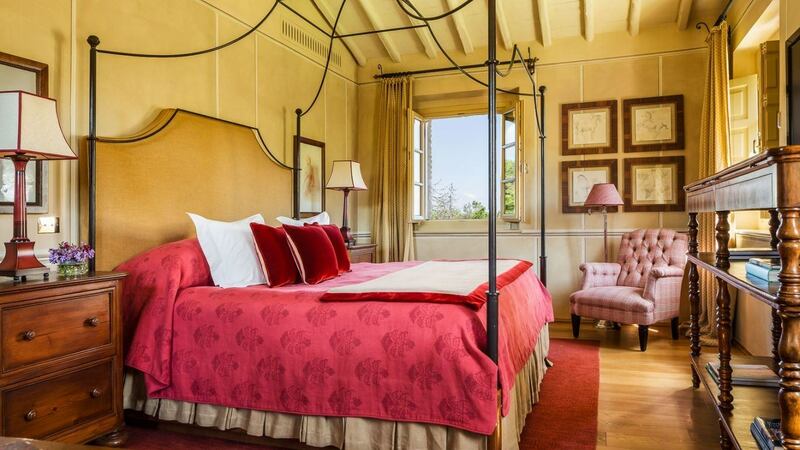 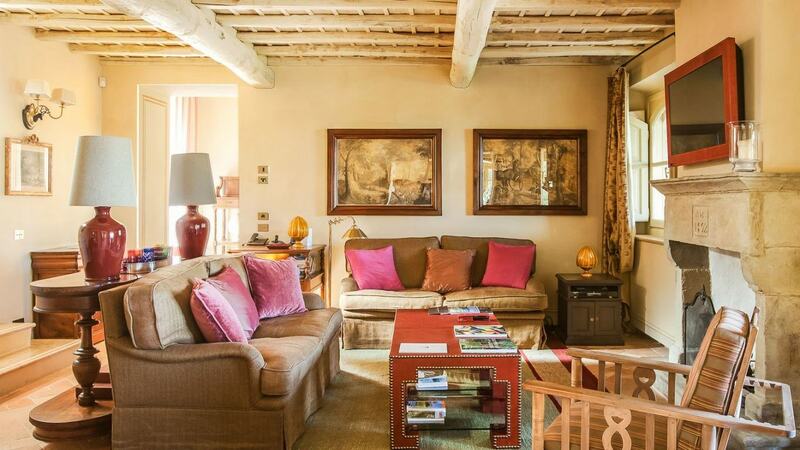 The villa's ground floor is elegant and spacious.The living room has an authentic Tuscan fireplace. 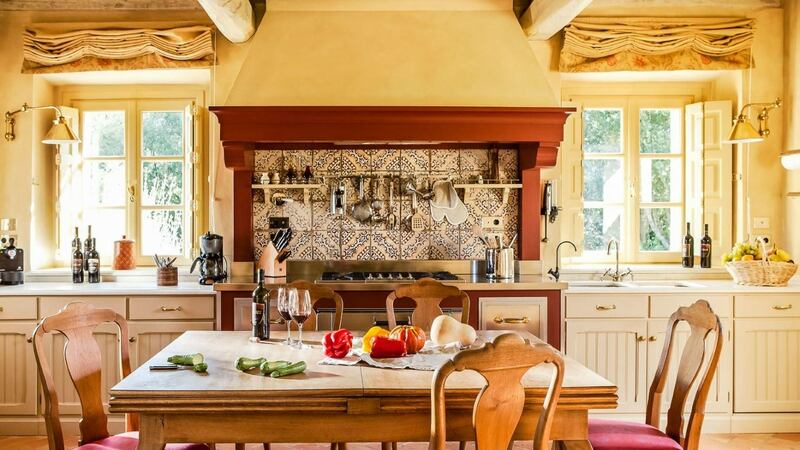 The beautiful dining area leads into a designer kitchen. 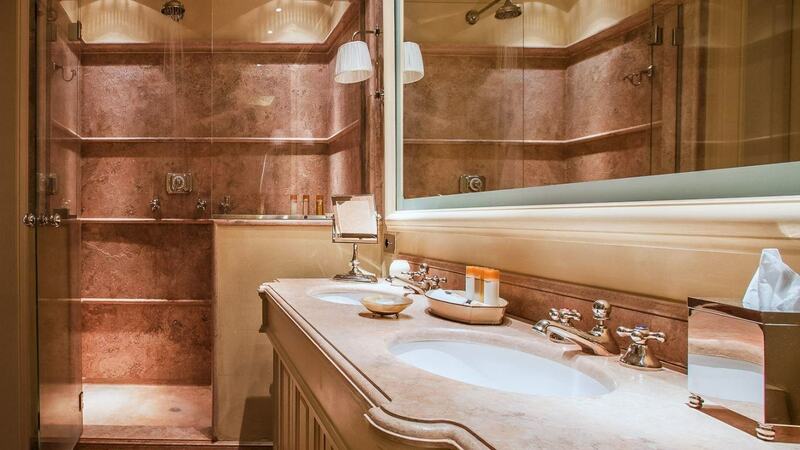 On the first floor there are two bedrooms each with en suite bathroom. 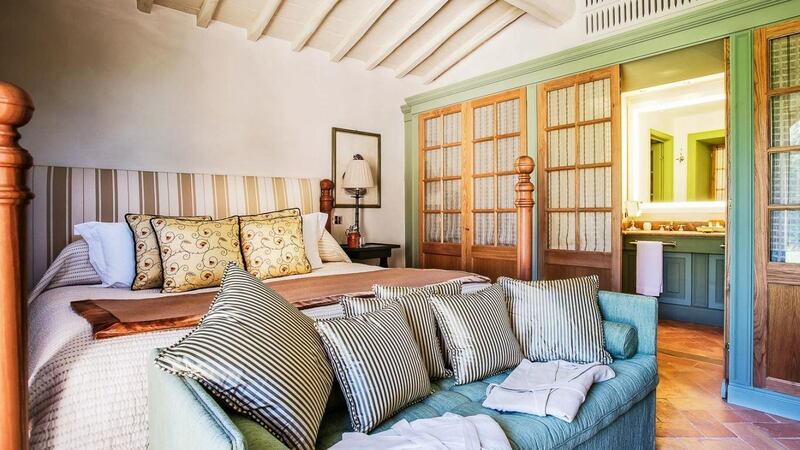 The third en suite bedroom is in the guest house that look out onto an intimate outdoor seating area. 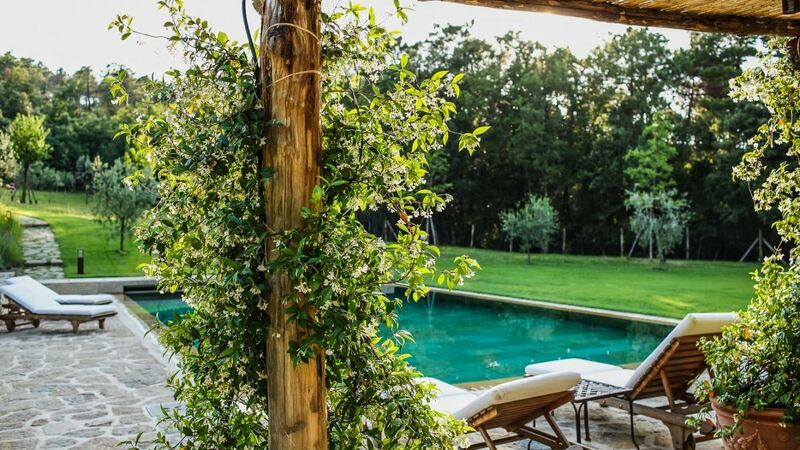 The pergola-covered terrace overlooks beautiful gardens and a private outdoor heated swimming pool. 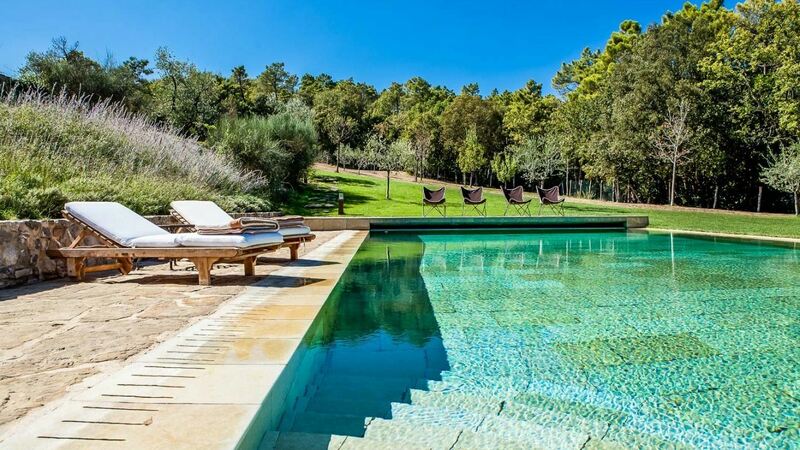 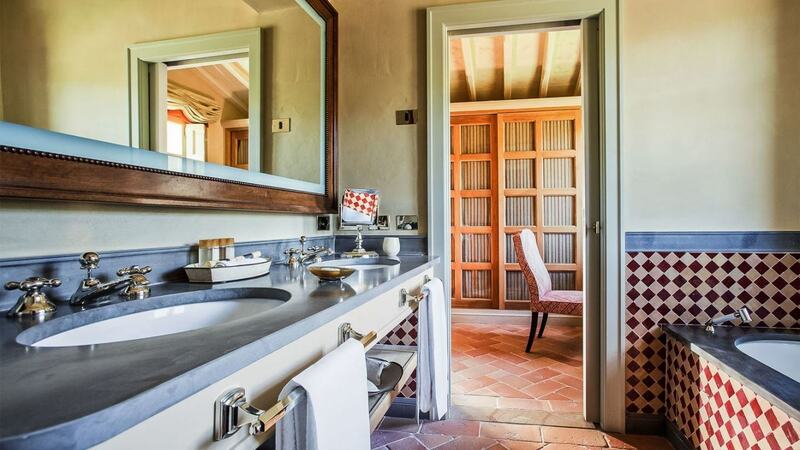 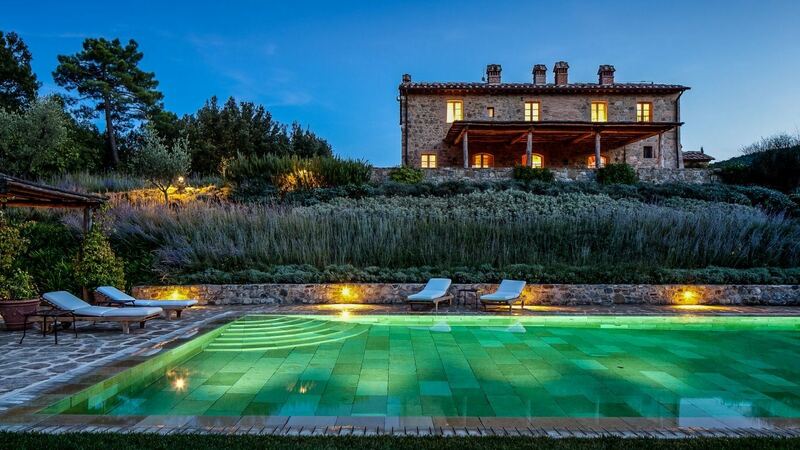 Villa Rachel is part of the Rosewood Castiglion del Bosco Estate which has two restaurants, a fitness and spa complex, tennis courts, a private golf course, a chapel, an infinity swimming pool that overlooks Montalcino and the Val d'Orcia all surrounded by 70 hectares of vineyards.